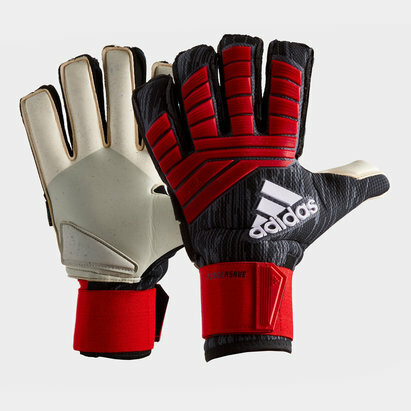 Reach new levels between the sticks when you velcro up these adidas Predator Pro CW Goalkeeper Gloves in a Solar Yellow, Active Red and Black colourway. Don't let the temperature drop distract you from playing your game. These adidas Predator Pro Climawarm goalkeeper gloves will keep you warm whilst providing a grippy latex on the palm and a negative cut for a secure, snug fit. 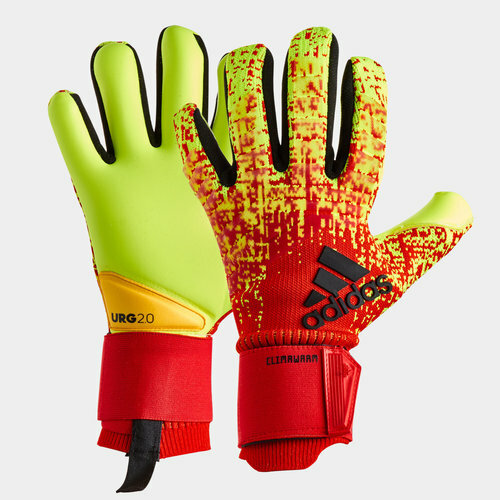 These gloves have been built for the highest level of play and come with 3.5mm of cushioning to take the sting out of the hardest, fiercest shots whilst the grippy latex will have you clinging to the ball no matter what the conditions may be. The gloves have been made from flexible knit fabric that includes Climawarm technology to keep you tackling the cold blast. The silicon reinforcements on the backhand help when punching the ball whilst an extended wrist makes them easier to pull on.